to laugh when I see pictures like this pop up in my camera? Because if it's wrong, I don't want to be right. This was a shot from a photo session last week and I loved it. I'm starting to fill up a Fall schedule. We'll be in Missouri this coming weekend! 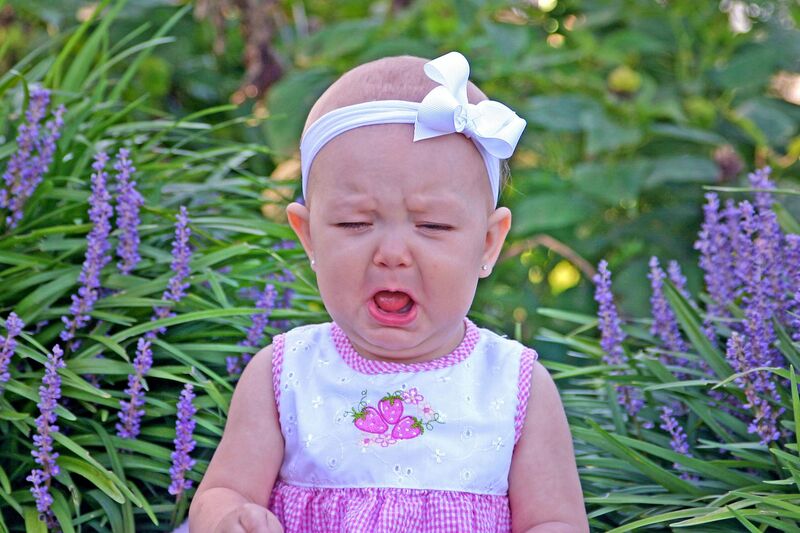 I don't intentionally make babies cry at photo shoots. Usually they like me and have fun. But you can bet if they shed tears, I'm gonna grab pictures of it and giggle about them later. You crack me up! LOL. I follow you on Etsy, "mommafo". Reminds you of how life REALLY is. Haha! It made me laugh too. She's a cutie! Ooops. I laughed too. Out loud even. Too cute! Thank you for snapping the photo and for sharing it! What a day warmer! i love it too! you should see the one on my blog of a photo shoot i did last week! so funny!! OH MY GOODNESS....If it is wrong I don't want to be right either because that is absolutely adorable. I hope her Mommy orders awhole bunch of that one because I love it!!!! Then I again I think the more chaotic pictures are the more adorable they are! Is she not the most precious little fussy thing you've ever seen? :) So cute, I love the pics that aren't perfect...realistic ones can be some of the best. Great shot, thanks for sharing it! It would be wrong of you not to share. My oldest cried the first time she visited the Easter bunny (about 8 months old), my third cried ALL DAY on her first east ( about 4 weeks old), I'm not sure I would remeber these every day details of life back then if I didn't have the cute scrunched face photos to remind me. Not every minute of life with kids leaves everyone smiling- but they all are sweet when you look back! You really need to stop poking babies with sticks to get them to cry. It just isn't right. ;o) But yeah, who wouldn't giggle about a little face like that? I don't poke with a stick. I pinch. I pinch their little thighs until I get the expression I want, and then start snapping away on my camera. Look at that sweet face!! such a doll even when she is not happy!! How i wish i lived near you to take my chickadees pictures!! I see that popping up years later in a wedding shower video. So cute! One of my favorite pictures of our first-born is of my husband holding her with his family all lined up for a family photo and she's screaming her head off. Gotta love it! It's just so real! It is sad and funny at the same time. I have pictures of my kids crying because there's something about that sweet, sad little face...I wanted to remember it. What a cute picture. Save it to show her and she probably won't be happy about that either. Great blog! I laughed at a little girl when she fell on the sidewalk. Who am I to judge? That's priceless! I think it's not wrong to remember all the moments in a babies life, happy and sad. I'm not sure if I ever took a picture of my son while he was crying, but I really wish I had now. It's not wrong! It's adorable! Love it! Found your blog through Heather's (cookie mondays). I am all about the crying baby pictures. You should see the pics I have on my blog of my older daughter with Santa & the Easter Bunny...terrified!! !